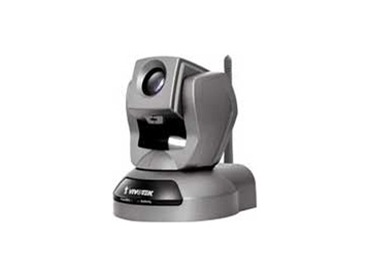 Available from Kappalyn Technology Solutions , Vivotek PZ7111 (PoE) / 7112 (WLAN) network cameras feature a 10x optical zoom and pan/tilt functionality. These high performance network cameras have been designed for indoor surveillance applications such as retail stores, offices or banks. These network cameras feature a 10x motorised optical zoom module that offers greater depth of field when zoomed in, meaning it is able to display clear-cut images on near or distant objects. With flexible 300-degree pan and 135-degree tilt, PZ7111/7112 network surveillance cameras offer users more comprehensive control over the monitored site. PZ7111/7112 network cameras are incorporated with VIVOTEK's self-developed Bach SoC, giving users the advantages of dual-codec (MPEG-4 and MJPEG), dual streams and two-way audio by SIP protocol. With support of dual streams, it simultaneously delivers dual video streams with different resolutions, frame size and image quality to different platforms such as web browser or 3G cell phones. Additionally, PZ7111 network cameras are integrated with Power over Ethernet function and PZ7112 network cameras with wireless connection, making installation easier and more cost-efficient. The free-bundled, multi-lingual 16 channel recording software helps users to set up an easy-to-use IP surveillance system.